A little less than two weeks remain until the Detroit Auto Show and the anticipation is starting to heat up. 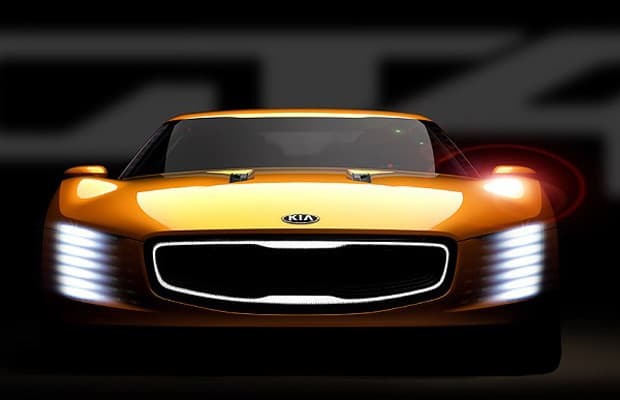 Kia released its second teaser for its upcoming GT4 Stinger Concept and announced that the car will house a 2.0L turbo-four with 315hp and will be rear-wheel drive. The presser also highlighted the stacked LED headlights, and front-brake air vents that will cool brakes behind its 20-inch wheels. Adding downforce is a carbon fiber front splitter beneath the nose. More details to come.